The other shoe — or skate, if you will — dropped late Sunday night. Marc Bergevin and the Canadiens traded team captain Max Pacioretty to the Golden Knights in exchange for veteran winger Tomas Tatar, top prospect Nick Suzuki and a 2019 second-round draft pick which originally belonged to the Blue Jackets. 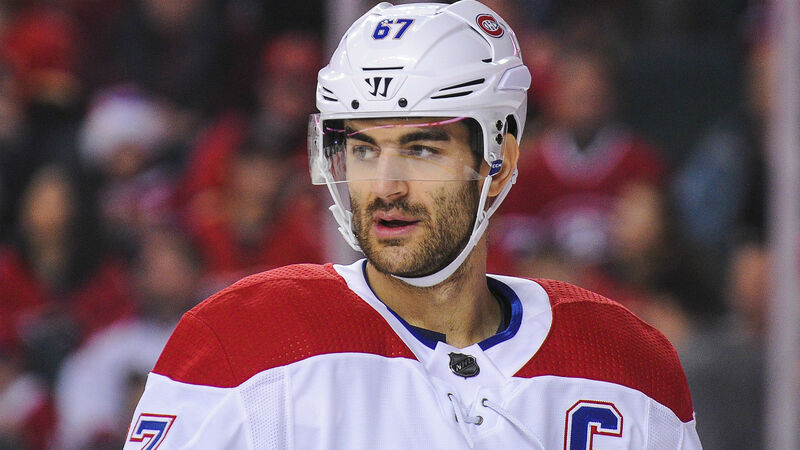 The deal brings to an end not only Pacioretty’s decade-long tenure in Montreal, but all of the speculation about the star forward’s future which had been the cause for great debate throughout the offseason. While Pacioretty stated repeatedly his desire to sign a contract extension and remain in Montreal, Bergevin said no extension was forthcoming and reportedly came close to dealing the former first-round pick to the Kings at the NHL Draft. Bergevin remained mute on Pacioretty’s future as the summer wore on, while the frsutrated captain spoke often publicly about his situation in limbo and his detiorating relationship with the club. However, on Monday, Bergevin told reporters that Pacioretty asked for a trade last season — something the player and his agent have publicly denied, as recently as last week. With training camp starting later this week, Bergevin finally made his move, thus avoiding the massive distraction Pacioretty’s arrival would have meant to the club. In so doing, the Habs surrendered a five-time 30-goal scorer — albeit one coming off a subpar 17-goal campaign during Montreal’s ugly 2017-18 campaign — and acquired a four-time 20-goal scorer in the 27-year-old Tatar, who disappointed in Vegas after being acquired at the trade deadline from the Red Wings. Tatar is signed for the next three years with a $5.3 million salary cap hit, while Pacioretty, who makes a team-friendly $4.5 million, becomes an unrestricted free agent next July. The other key to the trade for the Canadiens is the acquisiton of Suzuki, a skilled center who was the 13th overall selection in the 2017 draft. The 19-year-old recorded 100 points in 64 games with Owen Sound in the OHL last season and scored 45 and 42 goals the previous two seasons in junior. It is very possible that with a strong camp, Suzuki could make the opening-night roster in Montreal. When asked if Suzuki could make the varsity out of camp, Bergevin left the door open. Bergevin has done a good job of upgrading the Habs’ center-ice position this summer and building towards the future. Not only did the Canadiens land Suzuki — who can play all three forward positions, but is listed primarily as a center — on Sunday, but they selected talented Finnish center Jesperi Kotkaniemi third overall in the recent 2018 NHL Draft. The Habs GM also acquired forwards Max Domi, Joel Armia and Matthew Peca, along with Tatar, to complete a substantial overhaul of the roster this offseason after finishing with only 71 points last year. As for Pacioretty, the biggest name in this trade, there has to be a sense of relief that he knows finally where he will play this season. The rumors are now over and he will join a talented team, one with far loftier expectations than the Canadiens. He will also reunite with Gerard Gallant, a Habs assistant earlier in Pacioretty’s career, and now the head coach in Vegas. However, he must also uproot his family from Montreal, a city he spoke often of with fondness. After reaching the Stanley Cup Final in its inaugural season, Vegas looked to upgrade its roster this offseason, as well. Despite losing a key piece in winger James Neal to free agency, the Golden Knights signed veteran free-agent center Paul Stastny and now picked up Pacioretty, as consistent a goal-scoring threat as there has been in the NHL prior to last year. Stastny and Pacioretty have combined for nearly 1100 points in roughly 1500 career games in the National Hockey League. In swinging this deal, Golden Knights general manager George McPhee also was able to hold on to his No. 1 prospect, center Cody Glass, who was the 6th overall selection in 2017 by the club. No trade is ever a perfect one for both sides, but this is close to a win-win.